Below you can view all the homes for sale in the Green Gables subdivision located in Lakewood Colorado. 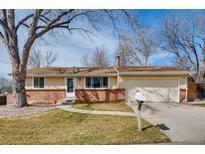 Listings in Green Gables are updated daily from data we receive from the Denver multiple listing service. To learn more about any of these homes or to receive custom notifications when a new property is listed for sale in Green Gables, give us a call at 720-897-0273. AND this location is a well-hidden secret- walking distance to shops and transit, 25 mins to downtown Denver, 20 mins to Red Rocks and an hour to the nearest ski resort! NO SHOWINGS MLS#1614714. LIV Sotheby's International Realty. The community has luscious landscaping and trails for walking, biking, or running. This is a MUST see! MLS#3705115. True Home Realty. Great open backyard with covered patio!! A must see! ! MLS#5950074. Uptown Realty Group LLC. Energy Star Certified and HERS Rated. MLS#6519216. RE/MAX Masters Millennium. Energy Star Certified and HERS Rated. MLS#8451721. RE/MAX Masters Millennium. Energy Star Certified and HERS Rated. MLS#4603853. RE/MAX Masters Millennium. Energy Star Certified and HERS Rated. MLS#6965236. RE/MAX Masters Millennium. Energy Star Certified and HERS Rated. MLS#4884801. RE/MAX Masters Millennium. Previous buyers terminated due to cold feet and a personal preference of an element of the home...no issues came up! ! MLS#5784650. Keller Williams Integrity Real Estate LLC. Close to mountains, public transit, shopping, grocery, parks, trails and schools. This is must see home! MLS#5226667. New Roots Realty. Walking distance to the beautiful community clubhouse, pool, & beach access to Ward Reservoir! MLS#4135086. MB TEAM LASSEN. Buyer may select design features for a limited time. MLS#6469606. RE/MAX Masters Millennium. Buyer may select design features for a limited time. MLS#9162915. RE/MAX Masters Millennium. Energy Star Certified and HERS Rated. MLS#2049144. RE/MAX Masters Millennium. Energy Star Certified and HERS Rated. MLS#4466466. RE/MAX Masters Millennium. Energy Star Certified and HERS Rated. MLS#1930405. RE/MAX Masters Millennium. As if the main and second level were not already impressive enough, this home has an unfinished basement featuring over 2,200 sq ft. Make sure to watch the video on this amazing home. MLS#3739605. Buildings & Residences - Denver. Energy Star Certified and HERS Rated. MLS#6429115. RE/MAX Masters Millennium. Energy Star Certified and HERS Rated. MLS#4117451. RE/MAX Masters Millennium.